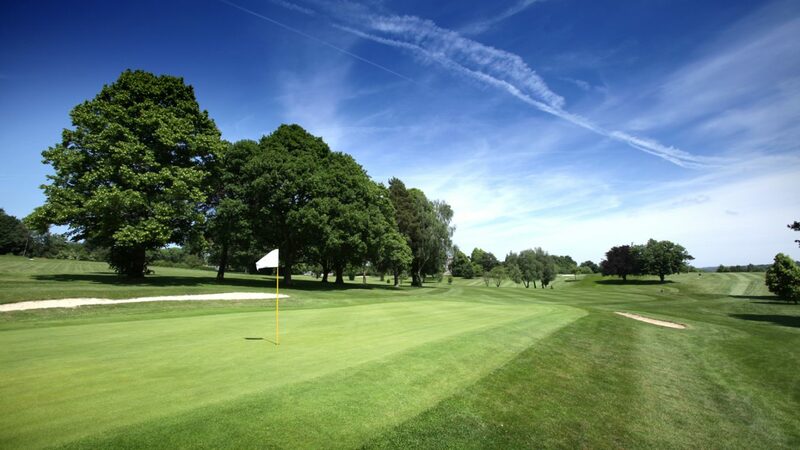 Lamberhurst Golf Club is just off the A21 within easy travelling distance of Tonbridge, Tunbridge Wells, Hawkhurst, and Wadhurst. The Club’s 18 hole parkland course boasts spectacular views over the local Kent and Sussex countryside. At first glance, at 6,448 yards off the back tees, the course looks deceptively easy but the subtle slopes and undulations test even the lowest handicapper. Visiting golfers can expect a warm welcome and a challenging day’s golf. We have exciting golf and food packages on offer and competitive green fee and society rates. So for a Club that offers great value and where a warm welcome awaits you, look no further than Lamberhurst Golf Club. We have a wide selection of Golf & Society Day options. Please visit our webpage for more details or to make an online enquiry. to 07553 157716 and our office will call you back to discuss your requirements. From the A21, at the Forstal Farm Roundabout (at the north end of the Lamberhurst by-pass) head to Lamberhurst village. After about 2/300 yards follow the sign to the Golf Club (and St Mary's Church). The visitors' car park is on the right 30 yards past the practice area. £27 per round. Before Noon Available every day. Weekends after 11:00am. Please contact the office on 01892 890591 for recommendations. Pro Shop with wide selection of equipment, shoes and clothing. Full changing room and shower facilities for both members & guest, lockers. Practice Area and Putting Green.